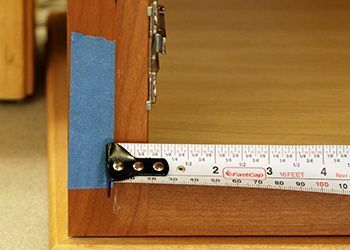 Measuring Your Overlay For Cabinet Doors - Spokane Hardware Supply, Inc.
Overlay is probably the most common type of cabinet door application, hence one of our most commonly asked questions is how to measure your overlay. We've put together a step by step tutorial on how to measure your cabinetry to determine your overlay. This way to measure applies to what I call standard hinges, such as a partial wrap or face mount hinge as well as European hinges.